Working together with international partners to undercut the spread of terrorist ideology. “The UAE Ministry of Foreign Affairs confirms that the UAE Air Force launched its first strikes against ISIL targets last evening. The operation was conducted in coordination with other forces participating in the international effort against the ISIL." 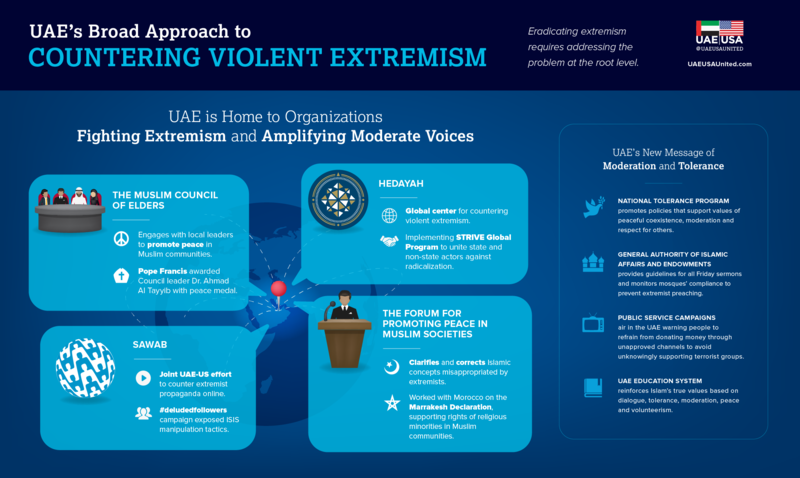 The National discusses UAE's three-pronged strategy to combat extremists, including disrupting funding to ISIL and other similar groups. UAE Foreign Minister, His Highness Sheikh Abdullah bin Zayed highlights UAE-Canada commitment to fight ISIS and extremism in an op-ed to The Globe and Mail.